The two-piece Rack Set consists of the CR-G, Micro-Column Rack and CR-M, the Test Tube Rack. Designed to hold up to 20-MicroColumns. It is large enough to permit comvenient handling of columns, yet small enough to fit in most workspaces. 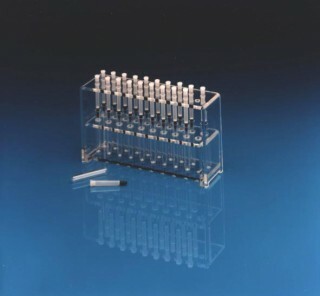 The column tips are suspended 3-1/4" from the lab bench for elution into vials or tubes. 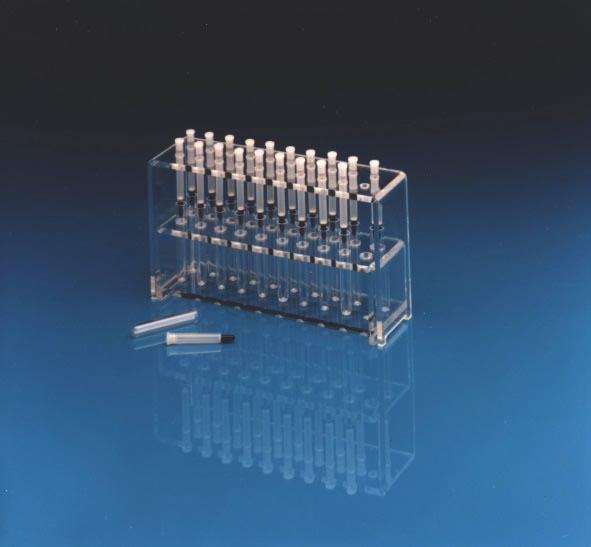 In addition of the Test Tube Rack enables the Micro-Colum ns to elute into 12 x 75 mm test tubes. Each piece is available separately or in the set.